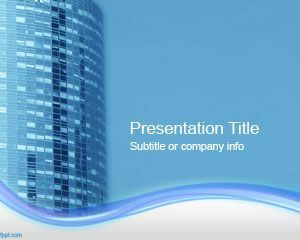 Nothing says timeless elegance than the classics, which you can showcase in your next presentation using this Free Columns Building PowerPoint Template. 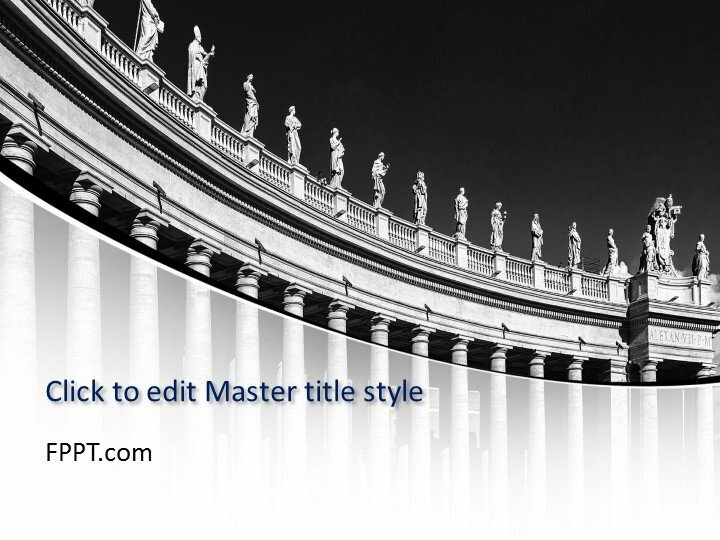 Featuring beautiful attention to detail in the columns of the building, against an elegant, unassuming black and white theme, this template is all about going back to basics in a sophisticated fashion. 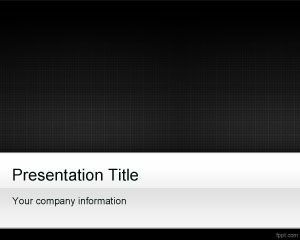 The template uses a sweeping image of a column in white, against a stark black background. 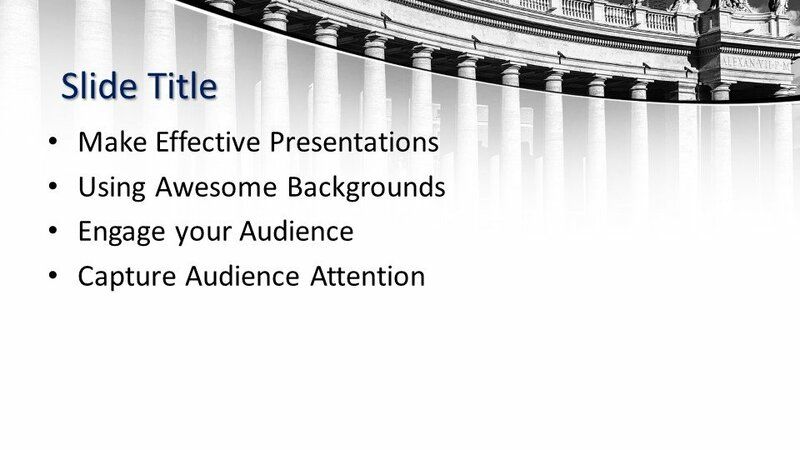 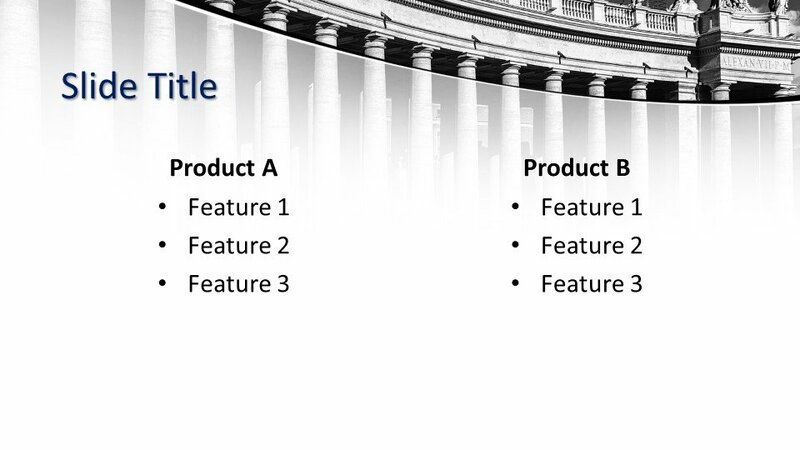 The column building effect allows you to pay attention to the details, which you can translate to your presentation as you empower your audience. 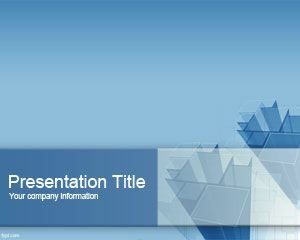 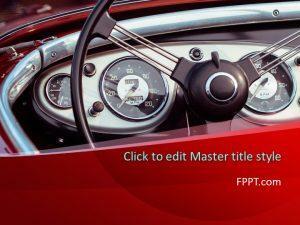 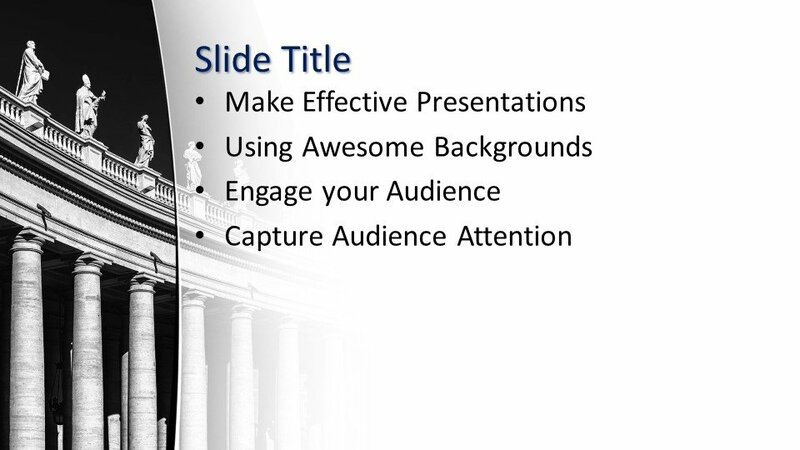 Whether in use for business, school, or personal slideshows, this template maintains versatility. 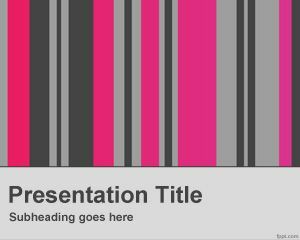 The inside slides matches the title slide perfectly, giving you aesthetically pleasing variants of the same theme while still allowing for easy readability. 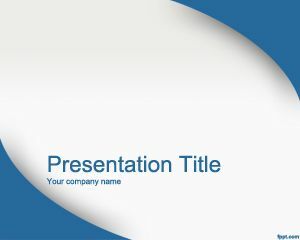 This free template can definitely stand the test of time. 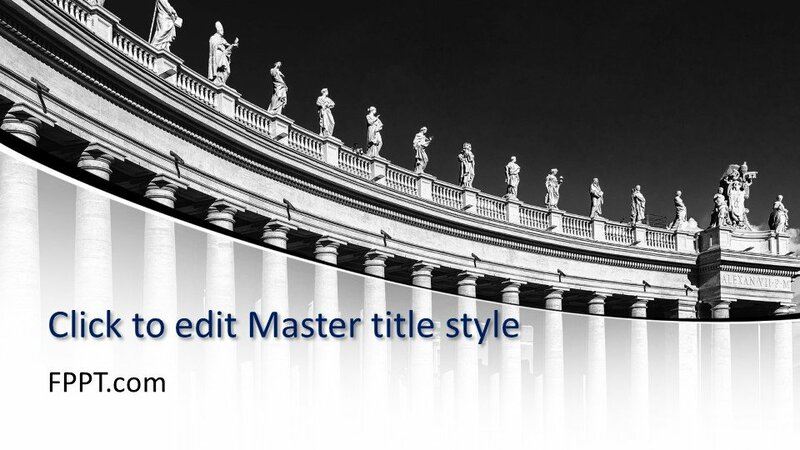 After all, a classic is a classic.